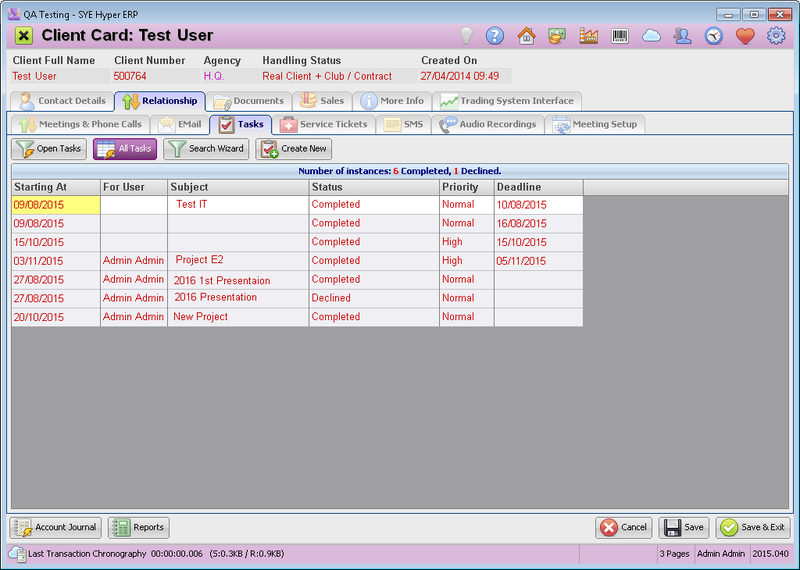 This tab displays all of the Client / Supplier / Project tasks (open and completed) and allows to create new tasks. Any new task can be related to a Client / Supplier / Project card in Hyper or alternatively can be inner general tasks of the organization. Display all of the tasks. Use this option to create advanced search wizard (Filter). In this tab, the user should fill in the details of the task, according to the information fields. 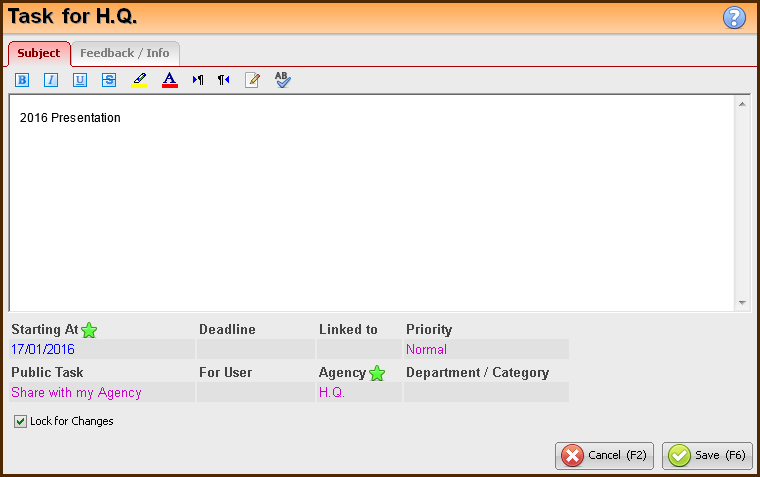 The "Agency" and "Department" fields, are avaiable due to the definition of the "Public Task" fields. The task can be locked for changes by checking the Lock for Changes checkbox. The details fields are described at the bottom of this page. This button creates an Email message with all of the task details, for the person that this task is related to. Open the Hyper card of the Client / Supplier that is related to this task. Please note - When choosing the "Completed" or "Declined" status' the system will close the task. Feedback / Notes After updating the status, fill in the relevant details about the new status and the progress. After creating a new task, it will be added to the list of tasks. The open tasks are also displayed in the Alerts List at the top of the Hyper main window.